Each year means 52 chances to relax, recharge and reconnect. Don’t waste a single opportunity. A long weekend means more time to dine at creative culinary hot spots and take a loved one on an epicurean adventure. Omaha’s extensive dining scene offers an array of favorites from every corner of the world. But couples crave more than travel-worthy food; they want quirky experiences that fill feeds with “Likes” and followers with FOMO (fear of missing out). Watch the videos below featuring local experts who will help build an itinerary packed with #relationship inspired activities. 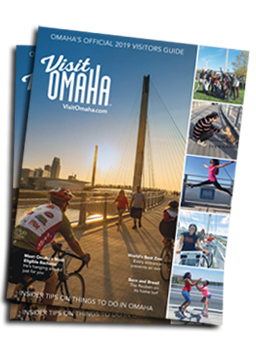 Continue browsing below for more things to do in Omaha for couples. Hear more from local experts, Laura & Susie. Hear more from local experts, Davina & Scott. Hear more from local experts, Roxy & Ryan. Check out a few ideas on how to spice up your night (or day). Hear more from local experts, Josh & Josh. Hear more tips and ideas from local experts, Steve & Susan. Hear more tips and ideas from local expert, Dana. Hear more from local expert, Cody. Hear more from local expert, Chad. Hear more tips and ideas from local experts, Jasmyn and Daniel. Hear more tips and ideas from local expert, Patrick and Marisol.